I'll bust out the occasional fake eyelashes for big nights out. 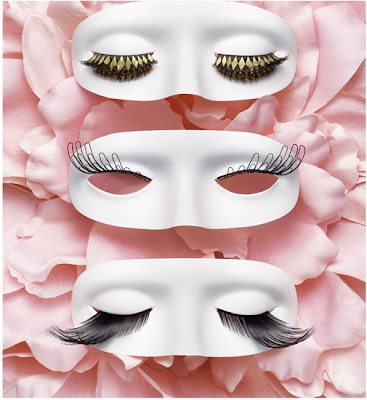 But if you want to make a big splash check out these new flashy false lashes that Viktor & Rolf and eyelash guru shu uemura created...a sort of couture collection for eyelashes. Available...Where else? Colette. im loving your new signature graphic thingie... its so fabulous!